Sgt. Will Gardner is an American emotional drama film about the struggles faced by war veterans while reintegrating into society due to PTSD (Post Traumatic Stress Disorder) and other war-led disorders. 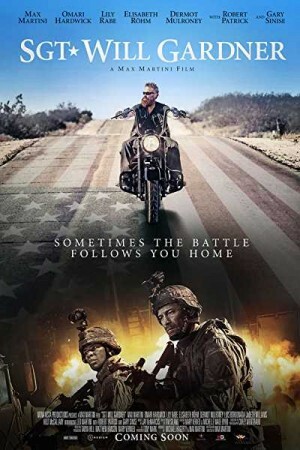 The movie focuses on Max Martini, an Iraq war veteran, who is suffering from TBI (Traumatic Brain Injury) and PTSD that he sustained while in combat. Following a series of setbacks, Martini embarks on a cross-country motorcycle journey across America with the purpose of reuniting with his son. Picking up the life’s pieces that he missed since returning from combat, frequent flashbacks, and much more forms a part of this exciting & spirited journey of a war veteran.